The Provocateur | Arts and Culture | Style Weekly - Richmond, VA local news, arts, and events. There was no liquor by the drink and race relations were noticeably more relaxed than they’d been in Chicago. Those are the two things that most surprised artist Myron Helfgott upon arriving in Richmond to teach at newly minted Virginia Commonwealth University in 1968. After being fired from teaching at Northern Illinois University, he was hired to teach sculpture at VCU at a time when universities were exploding, creating demand for additional faculty. The position paid $7,400 — “a big step up for me, pay-wise,” he says — and he intended to stay three years, his usual employment tenure. 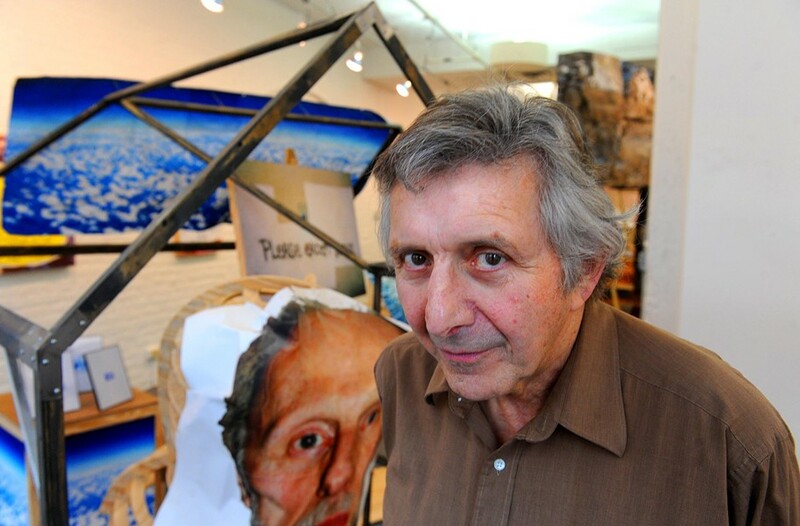 His long, local teaching career is the stuff of legend, and although he retired from the classroom more than a decade ago, his art-making continues unabated, as seen in the retrospective of his wide-ranging explorations, “An Inventory of My Thoughts” at Anderson Gallery. A self-admitted bad student, Helfgott took a strange route to becoming a sculptor. His father bribed him with a “piece-of-crap car” to go to a university. He chose architecture school because of the lack of a foreign-language requirement. And after graduating in 1960 with a degree in design, his first job was stock boy in a wholesale grocery warehouse. His path diverged when he rented a sculptor’s house, prompting him to consider taking a sculpture class. When his wife gave him woodcarving tools for his birthday, he felt obligated to follow through. Myron Helfgott’s “Detail,” oil painted on plywood, is part of his retrospective “Inventory of My Thoughts” which opens Friday, Jan. 16, at the Anderson Gallery. Helfgott was another well-chosen piece of an intricate puzzle to create an inter-disciplinary faculty that transformed VCU into an artistic hotbed. During the years Helfgott taught sculpture, the department had no fixed home. He taught two and a half days a week, making art and drinking wine the rest of the time. 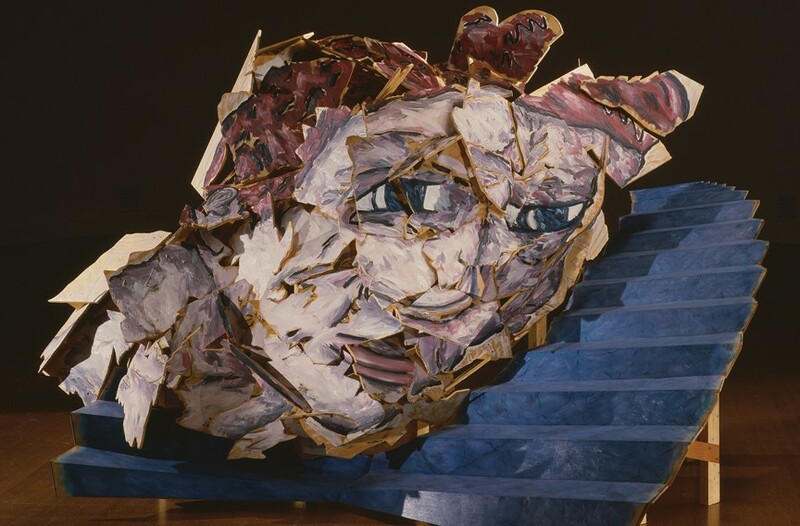 Influenced by literature and film, by the aughts he’d introduced elements of time into his work by adding kinetics and then audio, based mostly on his own texts. One piece came about accidentally on a flight to Miami when he began chatting with the couple beside him. En route to the Caribbean, they said they’d met working an assembly line putting together Chevy trucks and that she’d recently had breast-enhancement surgery. “They were so full of life,” he recalls, and suggested taking a photo of the three of them. As he clicked away, she licked his cheek and then pulled down her shirt to expose her new acquisitions. Instead, the longtime provocateur continues his mission of challenging the viewer. “Myron Helfgott: an Inventory of My Thoughts” opens Jan. 16 from 5 to 8 p.m. at Anderson Gallery, 907 1/2 W. Franklin St. Call 828-1522 or visit arts.vcu.edu/andersongallery.